Should that image go there? Does the text go above or below that graphic? Fortunately, there’s an easy way to figure it out. The rule of thirds calls for you to divide your canvas into three equally sized horizontal sections and three equally sized vertical sections to create a grid. This can be done with most graphic design or photo editing programs, but it’s good to know how to do it on your own, too. The spots where the lines in your grid intersect act as primary focal points; placing key elements there helps balance your design. Photography can definitely benefit from the rule of thirds, whether it’s a landscape, portrait, architecture or action image. There are a few points to consider for each type of image. For instance, instead of centering your subjects for portraits, consider putting them at one of the intersections on the grid. Making your subject’s eyes a focal point creates a better sense of engagement with the viewers and the subject. The rule of thirds grid is also great for helping set up shots for landscapes and architecture, as it helps make images more visually appealing by drawing attention to the most important points. To create action or movement, put your subjects on one side of the grid aimed at the other side; this implies that they will move towards the negative space. If used properly, the rule of thirds will create balance without creating too much symmetry, which can make a design or image boring. Still need some help? 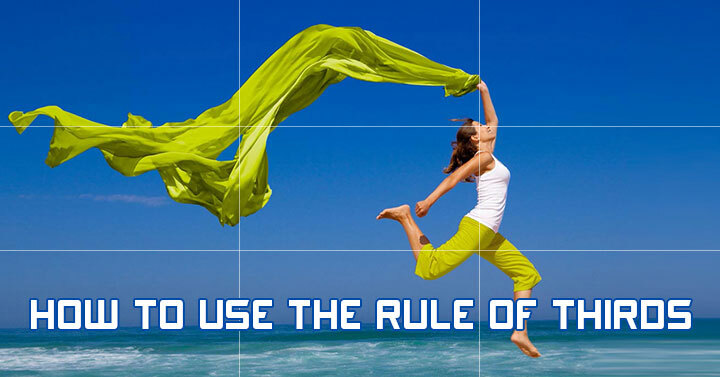 Check out this infographic which helps break down the various nuances of the rule of thirds. Pin it for later! I don’t work with any WP custom coders so I don’t know. Tthanks for the easy to understand tips, madam. I really glad found your blog before starting massive visual branding for my small business.